The 40 Winks Cat Pyramid is a comfortable, spacious cat sleeper, ideal for all cats irrespective of age or breed. The pyramid can be purchased in a range of designs, either in animal print, cappuccino or lavender. Easy to re-position and maintain, the cat pyramid is a perfect and practical addition to the modern home. 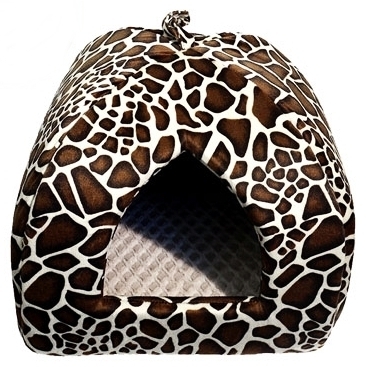 A new collection of luxury desirable beds for kittens, in lifestyle, stylish designs that complement the modern home. There are currently no questions for 40 Winks Cat Pyramid Bed - be the first to ask one!